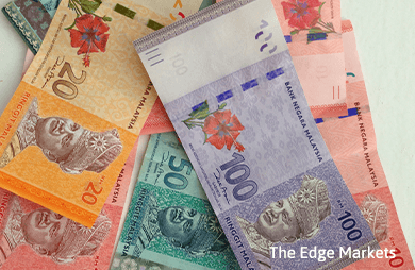 KUALA LUMPUR (Aug 2): The ringgit led a decline in Asian currencies as slumping oil prices dim the prospects for Malaysia’s export earnings. Brent crude sank 0.8% to close at its lowest level in four months on Monday, and US oil slid into a bear market amid renewed concern there is a global supply glut. While prices rebounded on Tuesday, Brent is still down about 19% from this year’s high in June. Malaysia loses RM450 million (US$112 million) in annual income for every US$1 drop in oil and the nation derives about a fifth of its revenue from energy-related sources. The ringgit weakened as much as 1% before ending 0.3% lower at 4.0345 per dollar in Kuala Lumpur, according to prices from local banks compiled by Bloomberg. It has lost 0.9% in the past one month, the worst performance in Asia. Ten-year government bonds fell, pushing the yield up three basis points to 3.62%, according to prices from Bursa Malaysia. The five-year yield also climbed three basis points to 3.24%.